Sparkline is one of the leading Jib cranes Manufacturers in India. We attempt hard to offer trustworthy jib crane suppliers and high quality work at inexpensive rates. 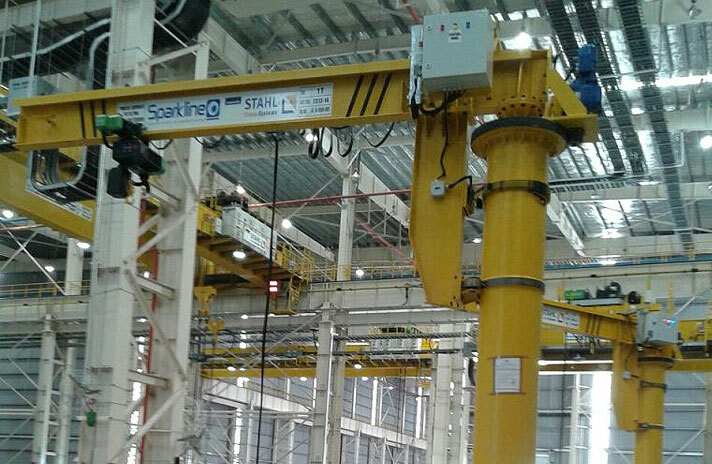 We manufacturers and suppliers of high quality of material handling jib cranes as per client’s requirements to Indian standard at your budgets. The use of Special profile rail jib arm, which is a low friction rail, helps for easy movement of load in less effort. Optionally its Offered with double speed chain hoist. 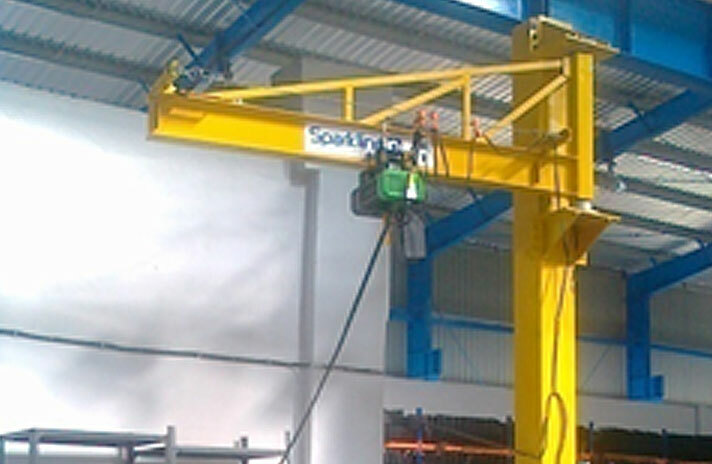 Column Mounted Jib Cranes are typically used to provide hoist coverage for individual use in Bays, along walls of columns or as supplement to an overhead crane or Monorail system.